We're proud to team up once again with Aeroplan to offer our readers another contest! 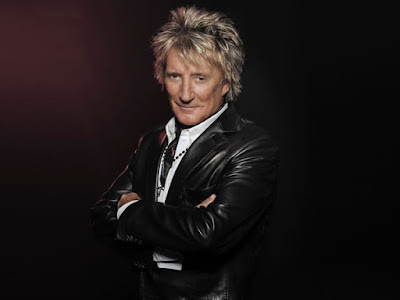 Aeroplan wants to give one lucky Rewards Canada reader two tickets to their "An Evening with Rod Stewart" in Toronto on November 16th. This evening with Rod Stewart is not a full on concert but rather a 45 minute Q&A session with Rod and him performing two songs. See this auction page for complete details! Last year Aeroplan introduced the dExclusives benefit of its new tiered recognition program ‘Distinction’ that rewards its top accumulating members based on total Aeroplan Miles earned across all coalition partners including airline, travel, retail and financial card partners. Aeroplan Distinction members can bid, using their Aeroplan Miles, on a wide variety of one-of-a-kind rewards specially designed around member’s interests. The dExclusives rewards are offered exclusively online at www.aeroplan.com/dExclusives. Comment below on what your ultimate bucket list Aeroplan redemption would be or has been? It could something as simple as that iPad you want to grab for your child this Christmas or business class flights to Asia or one of the one-of-a-kind dExclusives rewards! The contest closes on Wednesday November 4th, 2015 at 11:59pm MST! Limit 1 entry per person Winner will be determined by random draw from all eligible entries received. Void where prohibited. No purchase necessary.